Successful implementation of any e-government interventions or programs is hinged on having a carefully thought strategy which is informed by the local context. It cannot be overemphasized that every contextual setting has unique inherent contextual characteristics, which demand that any e-government interventions be designed bearing those characteristics in mind. In order to understand the contextual characteristics in Zambia, a quantitative research approach is utilized, where methodological triangulation is employed at all stages of the research cycle. The endpoint of this empirical research is that inherent factors that influence adoption of e-government mostly at individual (citizen’s and bussinesses’) levels are understood. The only major limitation of this research is that the sample (408 participants) may not be representative of the 14 million people in Zambia and therefore may not guarantee statistical generalizations. 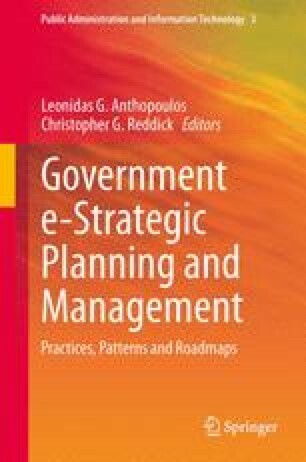 The chapter posits that there is chance that affluent e-Government development can be achieved in Zambia once a context-aware e-Government strategy/roadmap is put in place and followed. Habeenzu, S. (2010). Zambia ICT Sector Performance Review 2009/2010: Towards Evidence-based ICT Policy and Regulation, 2, Policy Paper 17/2010. Retrieved November 3, 2011, from http://www.researchictafrica.net/publications/ICT_Sector_Performance_Reviews_2010/Vol%202%20Paper%2017%20-%20Zambia%20ICT%20Sector%20Performance%20Review%202010.pdf. Heeks, R. (2004). e-Government for development basic definitions page. Retrieved May 25, 2009, from http://www.egov4dev.org/egovdefn.hml. Navarra, D. D., & Cornford, T. (2007). The state, democracy and the limits of new public management: Exploring alternative models of e-Government. Presented at the e-Government Workshop’06 (Egov06) September 11 2006, Brunel University, London, UB8 3PH. pp. 1–14. Retrieved August 14, 2011 from http://is2.lse.ac.uk/wp/pdf/wp155.pdf. Syamsuddin, I., & Hwang, J-S. (2010). A New Fuzzy MCDM Framework to Evaluate E-Government Security Strategy. IEEE 4th International Conference on Application of Information and Communication Technologies AICT2010. Retrieved April 1, 2010, from http://arxiv.org/ftp/arxiv/papers/1011/1011.3101.pdf. UN e-Government Survey. (2010). Leveraging e-Government at a time of financial and economic crisis. Retrieved October 4, 2010, from http://unpan1.un.org/intradoc/groups/public/documents/un/unpan038851.pdf.